Boyd paints a vivid portrait of a young woman entrepreneur’s defiant and revolutionary spirit. 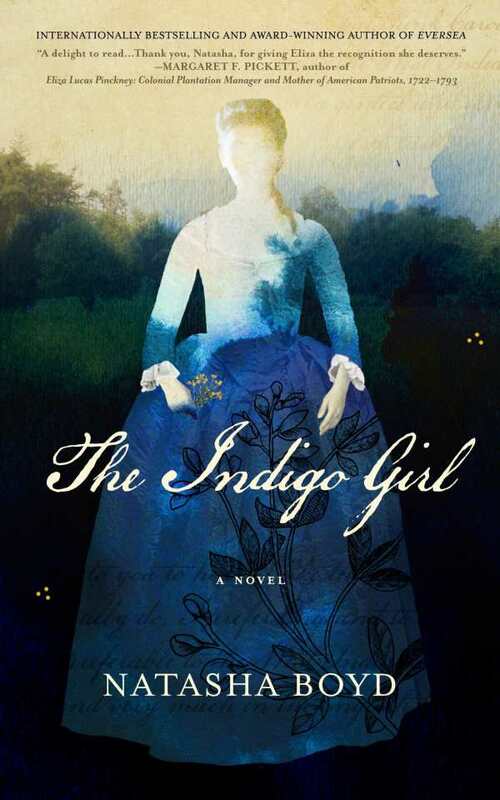 Natasha Boyd’s The Indigo Girl introduces an all-but-forgotten, real-life historical figure, Eliza Lucas, while providing a fascinating glimpse into the origins of indigo dye production in the United States. Society was not ready for Eliza Lucas. In 1739, her father, who had to return to Antigua, put her in charge of the family plantations in what was then called Charles Town, South Carolina. Eliza’s brothers were away at school, and her mother had health issues. Just sixteen years old, Eliza, who had a passion for horticulture, had to manage surly overseers, her younger sister’s education, and the slaves who worked the land. Her dream was to grow and sell indigo, which she knew would be a very successful cash crop for her family if she could learn the intricate process. To that end, her father sent along “help” from the islands—including a former childhood friend, also a slave. Eliza’s mother scoffed at her ambitions, constantly reminding her daughter that her only role in life was to marry. The novel traces Eliza’s journey as she tries to navigate through a myriad of obstacles thrown in her path. Though no actual photographs of the real Eliza Lucas are in existence, of course, Boyd paints a vivid portrait of her spirit: her kindness to the slaves reflects the goodness in her heart. Eliza is also shown to be impetuous from her youth and fiercely intelligent, standing her ground against men twice her age. Eliza’s transformation, both as a businesswoman and as a woman who, despite herself, discovers love, was well documented. Actual excerpts from some of Eliza’s correspondence provide another layer of authenticity to the story. The pre-Revolutionary War background is rich and colorful, while descriptions of the indigo growing process are readable and informative. The Indigo Girl is a riveting narrative about a woman who defied convention to become one of the country’s first women entrepreneurs.